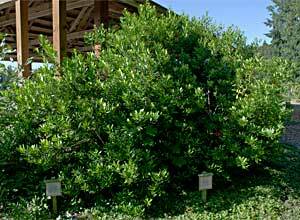 An evergreen shrub to 12′ tall. 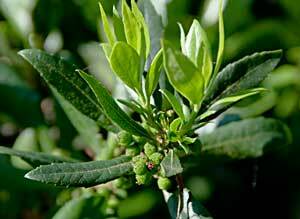 Lance shaped leaves dotted with black waxy glands and small white flowers born on catkins. Sun or partial shade. Handsome garden plant.